Full Professor of Architecture and Urban Design in the Faculty of Architecture of Sapienza University of Rome. Director of the Department of Architecture and Project (DiAP) – Sapienza University of Rome. Member of the board of the Department of Architecture (DiAP) and the College of Teachers of PhD Theory and Project. Member of the Advisory Technical Committee on behalf of “Struttura di Missione” of the Presidency of the Council of Ministers and Expert Member of the “Consiglio Superiore dei Lavori Pubblici”. Coordinator for the publishing activity of the Department in which he directs the ArCo (Architecture and Contexts Research Studio). Culture Committee of the Architecture Faculty of Sapienza Università di Roma. He currently directs the PhD Theory and Project publishing series (Print PhD) and coordinates the DiAP Print / Projects and DiAP / Theories publishing series of the Department of Architecture and Design. Taking part in competitions, individually, as a group practice and with other groups, he has earned awards and nominations. His work has been exhibited at the Venice Biennale and in some group exhibitions in Rome, Barcelona and Delft. Projects and writings appear in publications and national and international magazines. Recently he coordinated the project for the redevelopment of the House of the Third Army in Redipuglia. Former coordinator of the preliminary and final architectural design work and of the construction phase of the ongoing Rome Fiumicino logistic centre,the set up for the exhibition Comunicare la Democrazia. Stampa e opinione pubblica alle origini della democrazia, at the Sala della Regina in Montecitorio. He is currently coordinating the architectures and set up project for the Federico Fellini Opera Museum in Rimini. He coordinated the research project and the setting up for the Sapienza group in the MAXXI Roma 20-25 New city life cycles exhibition. 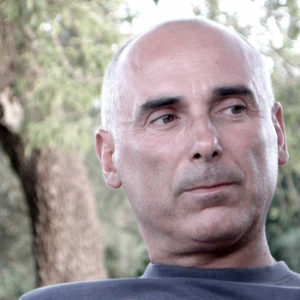 In addition to urban design research focused on the contemporary city (for projects of Lanciano Corso Trento e Trieste and for the revision of the Chioggia Harbour Redevelopment Masterplan), he has undertaken more complex trajectories and original intersections between architecture, art and new technologies. Since 2002, he created and produced works like Physico, Sylvatica, PYCTA and Hallalunalalone within ALTROEQUIPE, where he held a research based on the interaction between dance, sound, architecture, motion capture and motion graphics technologies. He wrote numerous essays on topics of the theories and techniques of architectural and urban design. Editor of the “Capitolium” magazine and editor in chief of DAAC’s (Department of Architecture and City Analysis) “Groma” publishing series. Modernocontemporaneo. Scritti in onore di Ludovico Quaroni, Gangemi Editore, Roma 2006 (with F. Toppetti). In addition to developing a profitable and steady editorial activity for public institutions, he has been the curator of national and international conferences and exhibitions.